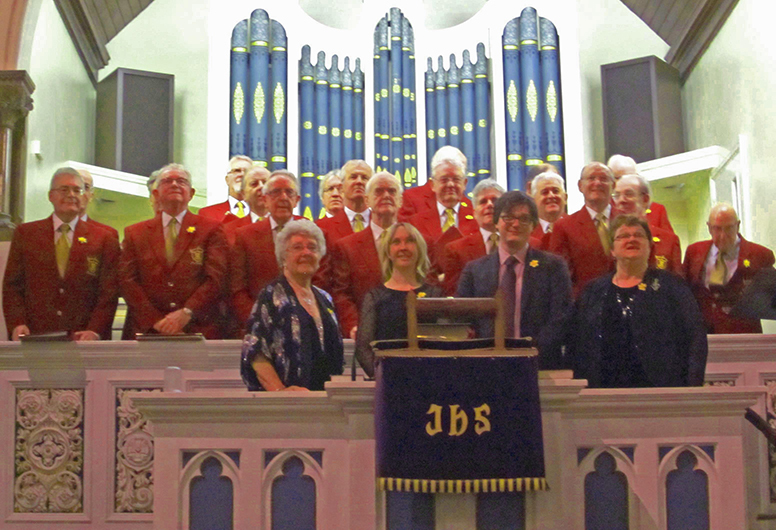 From 1st January 2016, the choir has amalgamated with Stockton Male Voice Choir. The new choir will be known as Stockton Synthonia Male Voice Choir. The accompanist will be Rebecca Topping and the Musical Director, Janet Howells, will lead the choir. Synthonia's Musical Director, Margaret Pringle has decided to retire after over 20 years of service to the choir. Members of both choirs are looking forward to performing together and hope you will support them in the future. This year the amalgamated choir performed alongside other mixed, ladies and male voice choirs at The Sage, Gateshead on 9th April 2016 as part of the 'Choral Spectacular' - a concert arranged by The National Association of Choirs, North East. This year massed voices came from 22 choirs who entertained the audience with many different genres of music. 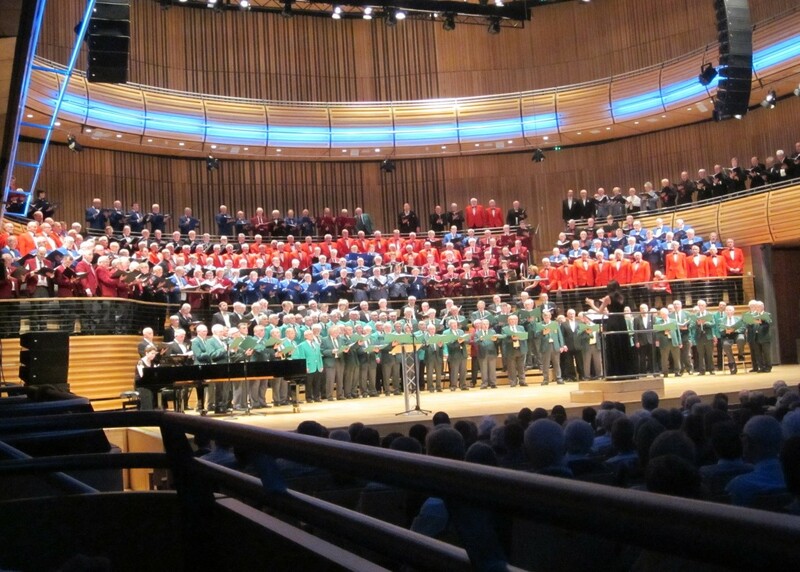 The picture above shows the massed male voice choirs in action at The Sage in 2015. The choir performed a concert at Yarm Methodist Church in aid of Marie Curie and raised a sum of £500. Again, many thanks to those who supported the event. 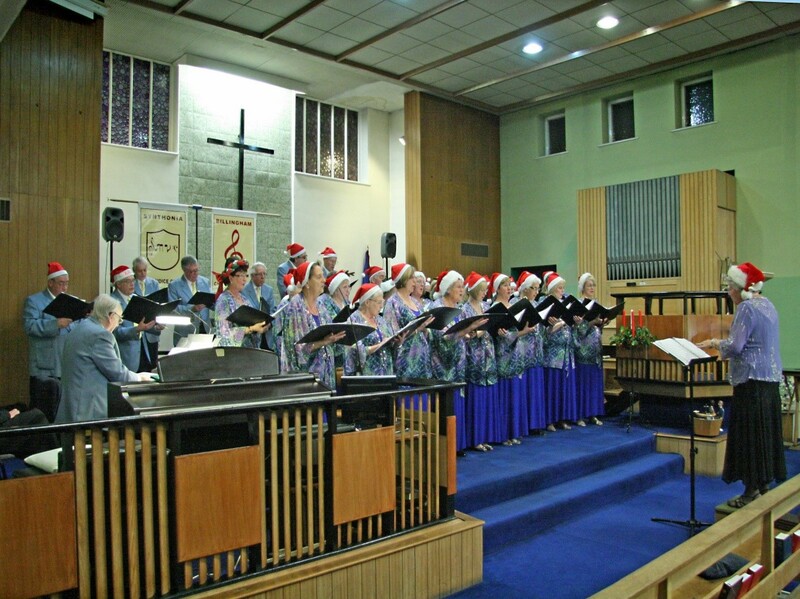 The choir performed a joint concert with Billingham Choral Society last December in Norton Methodist Church. £200.00 was raised for Myeloma UK.